Multimedia Journalist Alison Durheim finds her voice in the Ag world. Stollar with her fellow classmates in Brazil. Through the organization Alpha Zeta Partners, I had the amazing opportunity to travel to Brazil for six weeks in January-February 2018. This trip was not your typical study abroad, I feel as though because of it I have learned so much about the country. I was forced to step out of my comfort zone on this trip, and as a result of that, I believe I am a more open-minded individual. I learned the most about myself and about the country through the homestay I experienced in Brazil. Though I could only spend four days with them, my host family greatly impacted me. Whether it was swimming with my host-sister Beatriz, singing Bruno Mars with my host-mom or eating breakfast with my host-dad, every second was a learning experience. My family and I had a deal, I would help to improve their English and they would teach me some Portuguese and how to Samba (a Brazilian style of dance). I loved learning more about their fun and outgoing culture, it didn’t matter to me if my host family didn’t always understand me. I learned to step outside of my comfort zone that weekend and was welcomed by a kind and loving family. My experiences with my host family taught me more about Brazilian culture, Portuguese and made me see life from a new perspective. On another note, I cannot express how much I learned about agriculture on this trip. 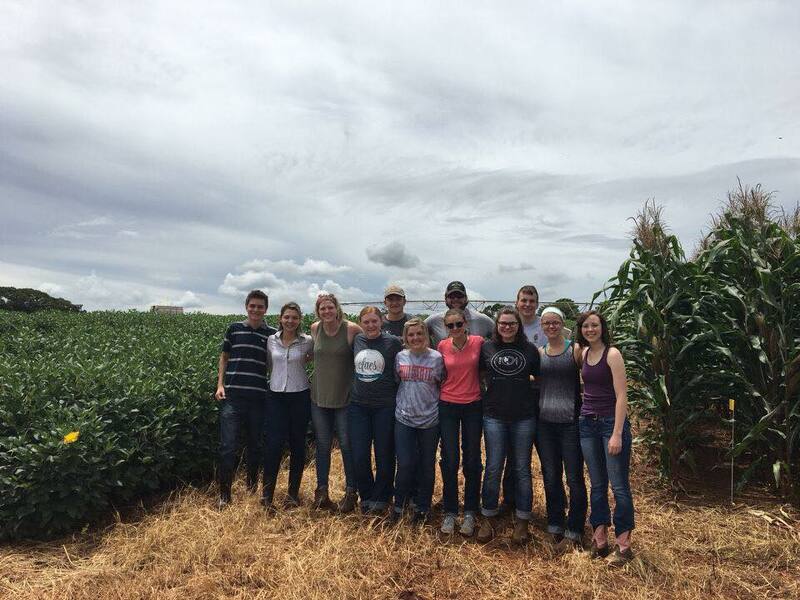 Our group went on countless tours, from seeing meat-processing plants to visiting a seed genetics company, the opportunity to learn was always present. My favorite tour was the field day we visited at Syngenta. I enjoyed seeing the field plots and learning more about agronomy in general. It was very interesting to go through the different stations as if we all were Brazilian farmers attending that field day. I especially enjoyed just seeing how Brazilian agriculture directly connected to U.S. agriculture. This idea reinforced to me how important agriculture is in every country and the important role it plays. Global agriculture is now a subject I am much more interested in and excited to learn more about due to my experiences on this trip. Through Alpha Zeta Partners I learned an abundance about Brazilian agriculture and how it impacts the United States. Before going on this study abroad, I believed Brazil would impact me in some way, but did not truly anticipate how this impact would take place. Now I can say that I have become a more open-minded, educated and cultured individual. My experience in Brazil challenged me, and taught me that sometimes it is these challenges that cause the greatest influence on an individual. I would like to thank CFAES and Alpha Zeta Partners for causing me to learn enough for a lifetime in only six weeks. 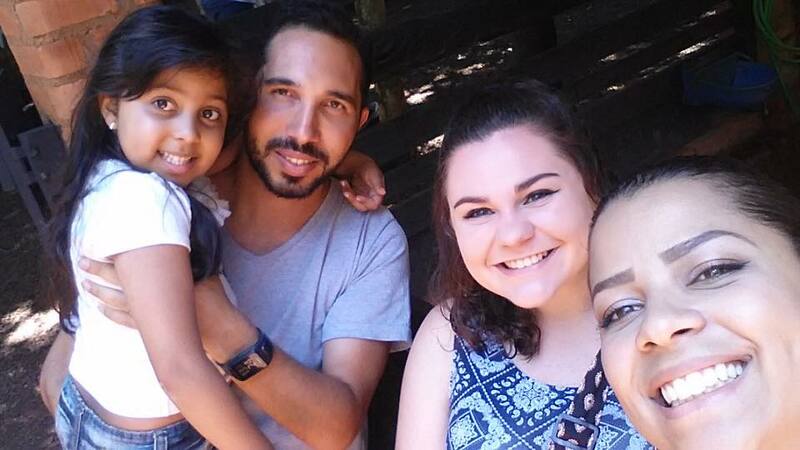 Marlee with her Brazilian host family. AZP students learning about Brazilian Agriculture. Ken Parrott lives in Lexington, Ohio and is currently the agricultural education teacher at Northmor High School in Northern Morrow county. Back in the 1980’s you could dual major so my degree was ag education/animal science. I originally wanted to be a veterinarian, but my family background of education, especially in ag education, rubbed off on me. My family is full of teachers and my grandfather, Ralph Howard, was a key part of starting FFA in Ohio serving as both executive secretary and Sstate advisor in the infancy of Ohio FFA. My active involvement in the FFA in high school influenced me to become an ag teacher. Several reasons influenced my decision. My father was a graduate of Ohio State. The rest of my older siblings all went to Muskingum, but knowing that I wanted to pursue a degree in agriculture made Ohio State an easy choice. I had some great professors and great experiences at the Ohio State University in both the ag education and animal sciences departments. But, when this new guy named Dr. Jamie Cano arrived to the Department of Agricultural Education and I had a few classes with him, I knew that I was making a right choice in my career decision. 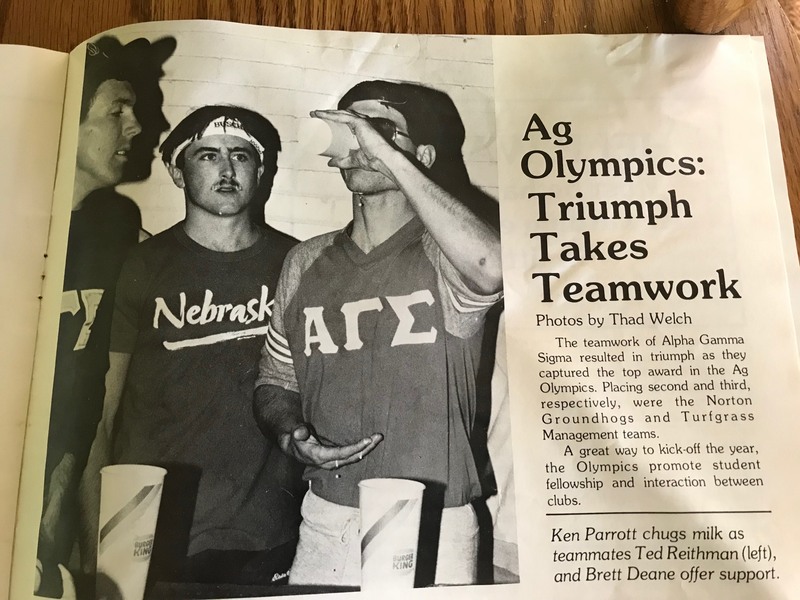 I was very involved in the Alpha Gamma Sigma fraternity, Agriculture Education Society and Saddle and Sirloin. My first year and a half of college I worked on the slaughter floor at the OSU Meat Lab and then the last couple of years I lived and worked at the Sheep Center and worked for Ron Guenther. That is a tough one cause I had so many great instructors in both ag education and animal science. My love for livestock made many of my animal courses some of my favorites. Anyone that ever had Dr. Tyznik for any nutrition classes could never forget his presence and influence. I always enjoyed my advanced animal science classes with Dr. Steve Baertsche. I had some memorable experiences with Dr. Lowel Hedges in the ag ed department and I had the nicest advisor in the world, Dr. Jan Henderson. But without a doubt, the professor that influenced me the most and I enjoyed thoroughly attending his classes was Dr. Jamie Cano. Dr. Cano had the biggest influence on me. He was brand new to Ohio State and was trying hard to make an impression. He recognized a talent of teaching in me and pushed me hard to excel. His instruction greatly influenced who I am today. There are a lot of them and it would be hard to picked my favorite. Probably most of stories I share revolve around my experiences with Alpha Gamma Sigma. We had a lot of fun back then and I experienced college with a lot of great people. When I graduated in 1989, ag teaching openings at the time were pretty scarce. I took the first job I interviewed for and that was a teaching position at Lincolnview High School near Van Wert, Ohio. A year later I moved closer to home at Highland High School. The following year, my home school, Northmor High School, called me home and I have been here for the last twenty-seven years. I have been fortunate to helped a lot of students achieve their FFA dreams. I have coached many successful FFA teams at the state level as well. 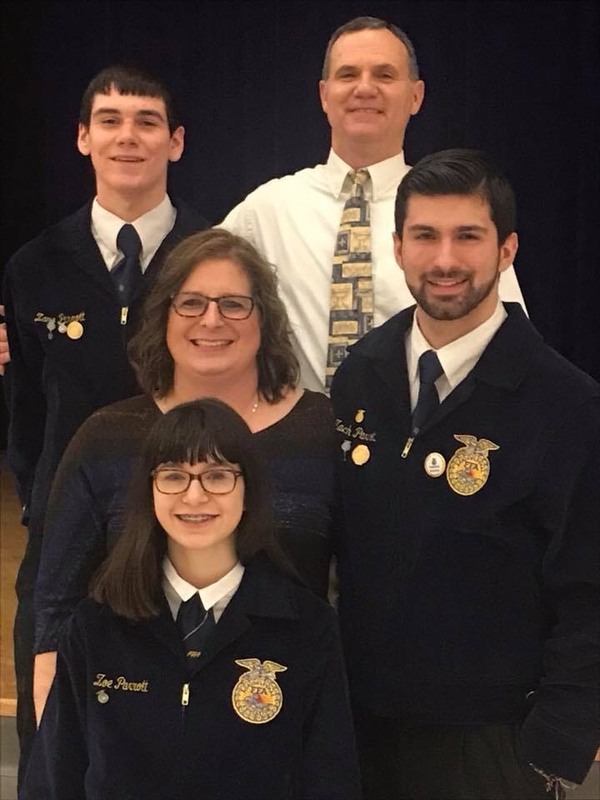 I have also been blessed to have my own three kids in my program and without a doubt, my son Zach winning the State FFA Sheep Proficiency Award has to be right up there as one of my favorite career highlights. Take advantage of ALL that Ohio State has to offer. Your education is important but the university experience is just as important. Get involved in as many things as you can handle whether it be the greek system or student clubs and organizations. 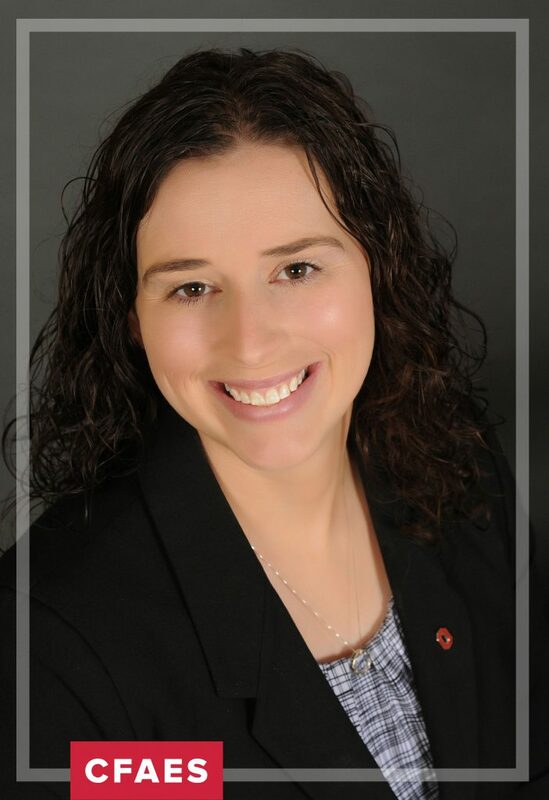 The Department of Agricultural Communication, Education, and Leadership (ACEL) at The Ohio State University is pleased to share that Dr. Amanda Bowling has accepted a position with our department as an assistant professor in agriscience education. For the past year, Bowling has served as a visiting assistant professor in the Department. In her new role, Bowling will hold a 75% teaching 25% research position. She will be responsible for teaching undergraduate and graduate data analysis course, teaching in the teacher preparation program, supervise student teachers, advise undergraduate and graduate students and conduct research in the area of positive youth development. Bowling will begin this position on September 1, 2018. Bowling received a bachelor, master and doctoral degree in agricultural education from the University of Missouri. Previously, she worked as a high school agricultural educator in Missouri. The agriscience education major at Ohio State prepares its students you to acquire a license to teach agricultural science in secondary high schools in Ohio and across the country, with extensive training in agricultural science, educational psychology, instructional methods, and youth development. ACEL has been cultivating agricultural educators for more than 100 years. The department was founded after the passage of the Smith-Hughes Act in 1917 that federally funded vocational agriculture programs across the country to train the teachers for these programs. 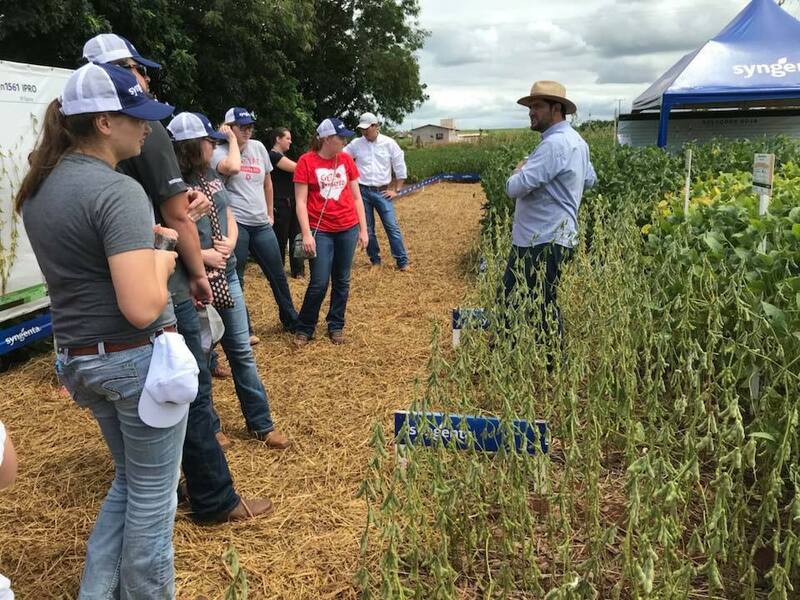 Since the beginning focus on agriculture teacher preparation, the department has expanded its mission to include Extension education, agricultural communication and community leadership. [ACEL]: Hi Haley! Tell us how you decided to major in community leadership. 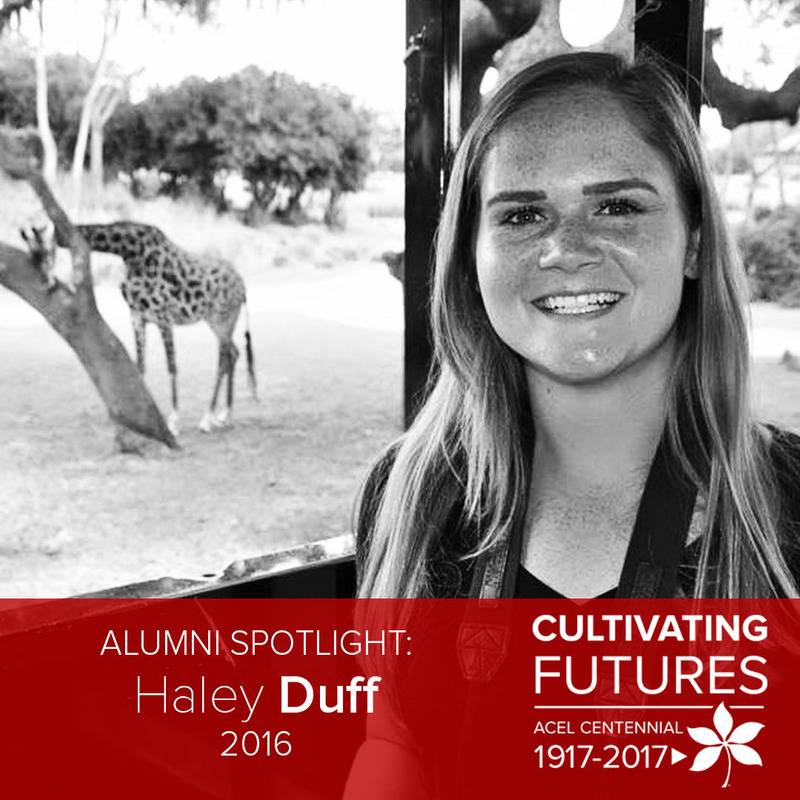 [Duff]: I started at Ohio State as a zoology major, and realized my interests were not in the science behind it all, but in connecting with people and sharing my passion for zoos, wildlife, and the environment. I searched all over Ohio State for a new major that would allow me to still graduate on time, help me grow as a person, and have supportive, caring faculty and staff. 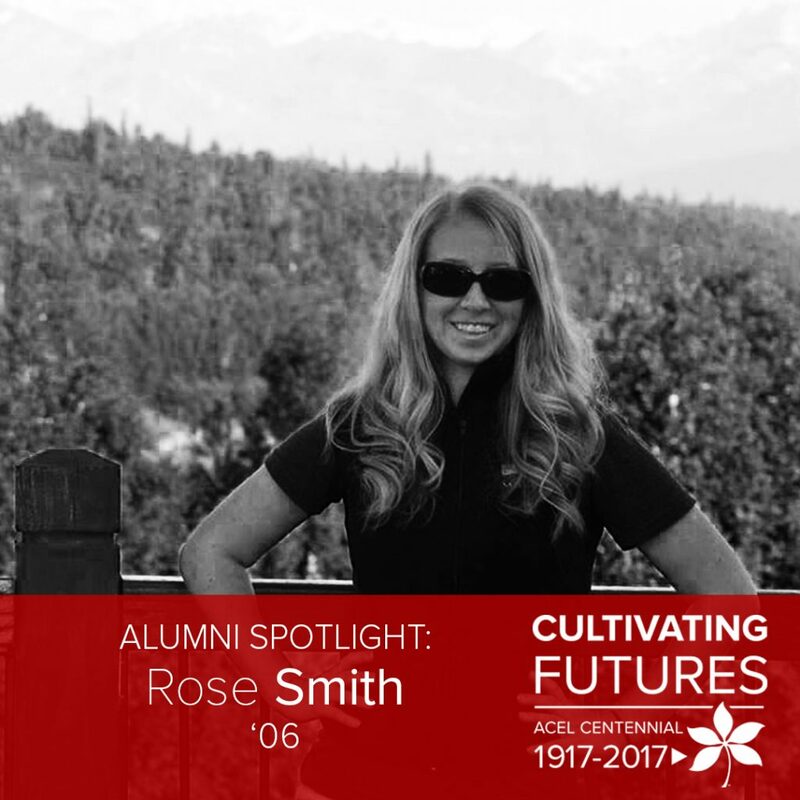 I never imagined I would find myself in the College of Food, Agricultural, and Environmental Sciences, but ACEL and community leadership were a perfect fit. Even growing up in Arizona, being a Buckeye was my college dream. When it came time for college visits and applying, Ohio State was it, no question. 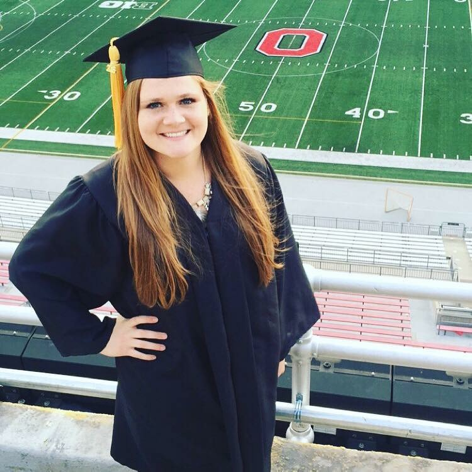 How did your education at Ohio State influence your choice of career so far? My education at Ohio State has influenced my choice of career path by allowing me to pursue multiple avenues and passions at once. When ACEL required an internship, capstone credit, and minor, I had to test the waters of different fields and I found out what I liked and was good at, and what was not interesting to me. My career path is definitely still in formation but I definitely attribute where I am now, and have been, to those experiences. What were you involved on campus as a student? At Ohio State I worked a campus job at EspressOH at the Ohio Union, and was involved in a few student organizations. One being my sorority, Tau Beta Sigma- a band oriented sorority, and the Nonprofit Immersion Program. I enjoyed many of my leadership classes that involved a lot of self-discovery and professional development. These have given me a huge leg up in interviews and the workplace on a personal level and working with teams. One of my all time favorite classes I took was for my zoology minor, a class called ‘dynamics of dinosaurs’ where we studied dinosaur fossils and physiology. That class and professor helped me realize I didn’t have to be in a lab doing science, but could translate the hard work of scientists to accessible information to help others understand natural history and ecology. And the fossils were so cool! Did you have a faculty member or professor that had an impact on you during your time at Ohio State? So many of the faculty in staff in ACEL impacted my education. They were supportive and found solutions to problems with credits and scheduling where others might have not. Emily Wickham, Dr. Birkenholz, Dr. King, and Dr. Chris Igodan made a lasting impression of what a mentor and leader should do for their students. One of my favorite memories from my time at Ohio State was going down to New Orleans with some friends to watch the Buckeyes beat Alabama at the Sugar Bowl! My first job after graduating was in Orlando, Florida working at Disney’s Animal Kingdom! I did two successive internships there and loved every second of it. Since graduating, even though it was just a few years ago, where have you worked? 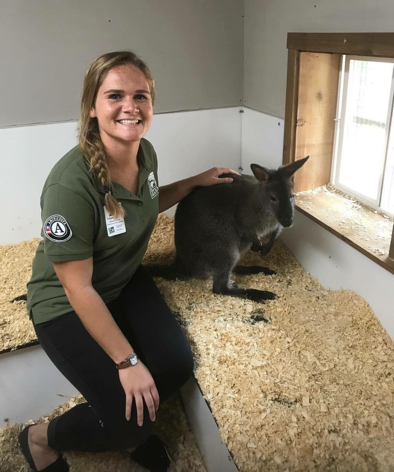 Following my internships with Disney, I worked at the Cincinnati Zoo through AmeriCorps. Now, I live in Washington DC and work full-time for the African Wildlife Foundation, a nonprofit organization that focuses on wildlife conservation, land and habitat protection, community empowerment and economic development throughout the continent of Africa. My favorite career highlight so far was my internship in conservation education at Disney’s Animal Kingdom. I loved interacting with guests who didn’t realize our park is an accredited zoo and sharing conservation messages and the animals with them. To go along with the theme of the park, I also got to dress like a “wilderness explorer” from the movie “Up” every day, which was so much fun. I would tell a current student to take as many opportunities to work on a team, network, and see Columbus as they can. It can be easy to stay in and study and do homework, or even stick to a small social group, but being able to collaborate and network and have interesting, productive conversations with other is not just a useful skill but can be fun and open new doors! The Department and classes I took cultivated in me what it means to be a leader and care for your team. I had mentors and professors who cared for my well-being and education, which I in turn cared more for the people around me as well, and have carried that value through the past year since graduating.